This fabric is no longer available. 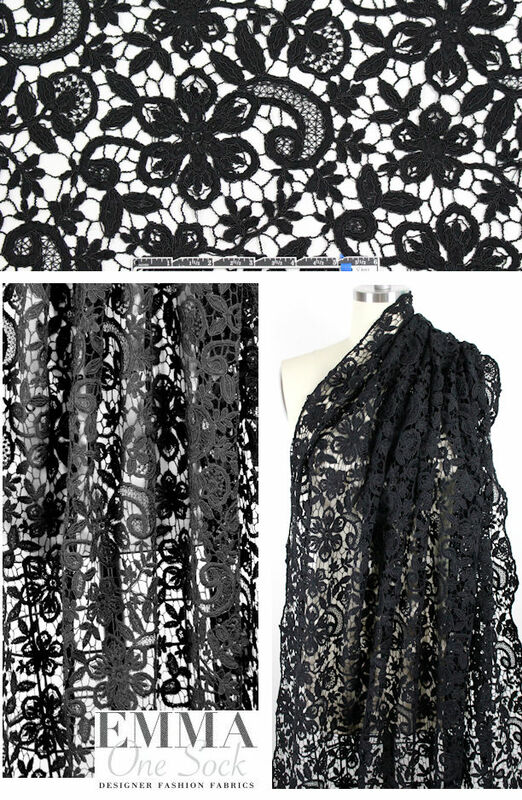 This black lace (PANTONE 12-0605) has an elegant floral design (photographed on a white background) and is reembroidered for extra texture, weight and depth. It is so pretty, has some drape with body, no stretch, and double scalloped selvedges. Use for any project calling for lace: tops, tunics, dresses, skirts, jackets, etc. Some styles will need lining or layering. Dry cleaning recommended by the manufacturer. 2 yds.